Available for same day delivery to a funeral home or residence, send your deep sympathies for the loss of a loved one. 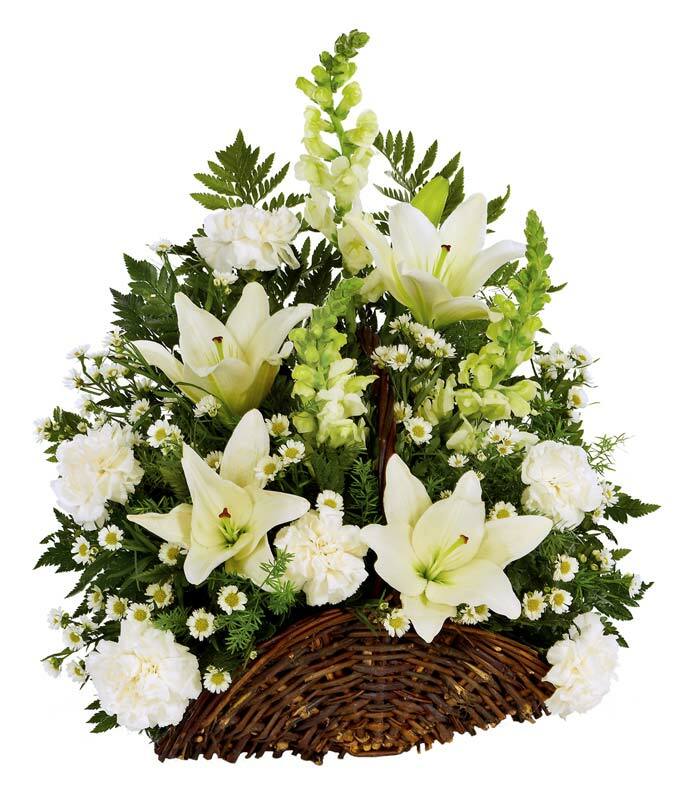 White Asiatic lilies, carnations, Monte Casino, and snapdragons beautifully come together in a willow basket. Hand-arranged by a local florist, the Classic Fireside Basket Remembrance will bring peace in a difficult time.